The Samsung Galaxy Note 9 is shown, in New York, Aug. 7, 2018. 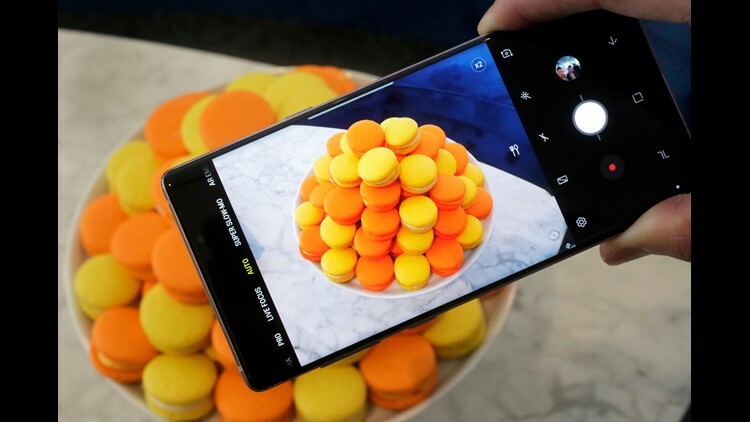 The camera in the Note 9 will use artificial intelligence to detect what's in a scene, whether that's food, flowers or a sunset, and to automatically tweak images to make them pop. You’ve made one of two decisions this week: You’re going to buy the new Samsung Galaxy Note9 (from $999). But where exactly should you buy it? Naturally, your existing carrier may be the first place you consider. Or perhaps you’ve been itching to switch to another, and a tempting incentive may just be enough for you to pull the trigger. Or maybe buying an unlocked device that's not wedded to any carrier direct from Samsung is the way to go. Don’t stress, friend. Here's a look at what all the big players are offering in terms of deals, extras and exclusives. First, what’s all the hype about? Available on Aug. 24, Samsung’s flagship productivity and creativity device is back with a handful of new features. The 6.4-inch Galaxy Note9 includes a new Bluetooth-enabled S Pen stylus, which lets you remotely access content on your device, such as advancing through presentations in a boardroom, clicking the shutter button to take a selfie or group shot (without shaking the phone in the process), playing and pausing music (and skipping forward and back through tracks) and more. The S Pen charges up when it’s reinserted into the phone, and the company says it takes only 40 seconds to fully juice up (and lasts up to 30 minutes on a full charge). As with last year’s model, there are dual cameras on the back, one wide-angle and the other telephoto, but smarter artificial intelligence (AI) lends itself to auto scene recognition. That is, when you snap a photo it will first analyze what you’re shooting – is it a person, landscape shot or a flower? – and make relevant tweaks on the fly to the lighting, color, saturation, contrast and so on. At 4,000mAh, the Note9’s battery is the biggest in a Samsung Galaxy device to date, providing all-day performance, Samsung says. Internal storage options are 128 gigabytes – twice that of last year’s model – and there’s a 512GB storage option, as well. Plus, both models support expandable microSD cards as large as 512GB. Other features include streamlined DeX support (to connect the phone to a monitor), AKG-tuned stereo speakers, wireless charging, water- and dust-resistance, and, for a limited time, only Galaxy owners can download and play the megapopular "Fortnite" game on an Android device. Color options are Ocean Blue and Lavender Purple (and Midnight Black for our Canadian readers, or Metallic Copper in other markets). When it comes to buying direct or through a carrier, here’s what you’re looking at. For $999 (128GB version), preorders for the unlocked smartphone begin at 12:01 a.m. ET on Aug. 10, and if you preorder before Aug. 23, you can choose a pair of AKG noise-cancelling headphones ($299 retail value) or, because of Samsung’s partnership with Epic Games, the Fortnite Galaxy skin with 15,000 V-bucks ($150 retail value) to be used as in-game currency. One of the two options are free, or you can get both for just $99 ($449 retail value). The 512GB phone, which includes 8 gigabytes of RAM (system memory) instead of 6GB, will be available at Samsung.com beginning Aug. 24 for $1,249. Galaxy Note9 will also be available at Amazon, Best Buy, Costco, Sam’s Club, Straight Talk Wireless, Target and Walmart. Preorders for the Galaxy Note9 start on Aug. 10 at midnight ET and will be in stores on Aug. 24. It’s the same price as Samsung to buy the device outright – $999 for the 128GB version or $1,249 for the 512GB model – but if you prefer to pay per month, it’s $41.66 a month for 24 months for the 128GB phone or $52.08 a month for 24 months for the 512GB version. But here’s where things get real: Verizon says “for a limited time,” if you buy a 128GB Galaxy Note9, get a free 128GB Galaxy Note9, Galaxy S9 or S9+. Both devices require purchase on the Verizon device payment plan and one new line of service (details on its website, but a $999 promo credit is applied to an account over 24 months). Also, Verizon Up members with an active Samsung smartphone on their account are eligible for a bonus reward of $10 off Samsung accessories. And Verizon is honoring Samsung’s preorder deal, too: Buy a Note9 through Aug. 23 and get your choice of a pair of AKG noise-cancelling headphones or the Fortnite Galaxy skin with 15,000 V-bucks for free, or both for $99. Preorders begin Aug. 10, at Sprint, and Galaxy Note9 devices are expected to be delivered as early as Aug. 22. If you’re willing to commit to a Sprint Flex Lease, you can snag the Samsung Galaxy Note9 at 50 percent off. That’s $20.83 per month. With Sprint Flex and its “Galaxy Forever” plan, you can choose to upgrade and return your Note9 phone after 12 payments. After 18 months, you can choose to own your phone by paying one lump sum payment or six monthly payments. Through Aug. 23, choose your free preorder bonus or either the AKG noise-cancelling headphones or the Fortnite Galaxy skin with 15,000 V-bucks – or take both for $99. Preorders start at midnight ET on Aug. 10, and you can get 50 percent off the cost of the 128GB model if you trade in a qualifying device.I didn't get word yet on what devices qualify. So that’s less than $500 for the 128GB Galaxy Note9, if you’re willing to part with your existing (and qualified) phone. On an Equipment Installment Plan (EIP) – where you’ll purchase the new device and pay for it over time with monthly payments – the 128GB Note9 will cost $30 a month for 24 months (with $279 down). On a Jump on Demand (JOD) plan, it’s $40 a month for 18 months ($81.99 down). On a related note, if you also want to buy the just-unveiled Samsung Galaxy Watch ($375) on an EIP, T-Mobile will give you another half off when you add a line. The Note9 will be in T-Mobile stores by Aug. 24, and the Galaxy Watch will be available later this year. T-Mobile is also offering the Samsung headphone-"Fortnite" incentive. Starting Aug. 10, AT&T customers can preorder the Galaxy Note9 or drop into an AT&T store, but the device won’t be available until Aug. 24. Like Verizon, AT&T is offering a BOGO (“buy one, get one”) promo for “a limited time” (no concrete date). Purchase a Samsung Galaxy Note9, and you can get another 128GB Note9 for free, or a Galaxy S9 or S9+. To qualify for this deal, however, it requires signing up for a new AT&T line; the credit is applied over 30 months. (And if service is cancelled, the device balance is due). Additional details are on the website. And the same incentive from Samsung is applicable, too. AT&T says the device – and “BOGO” promo – is also coming to its FirstNet device ecosystem, a nationwide public safety communications platform dedicated to America’s first responders. In addition to the Samsung promotion – to receive the AKG earbuds or "Fortnite" goodies – U.S. Cellular says anyone who buys a Galaxy Note9 on a new line of service, with Device Protection, will receive $150 back in bill credits. The discount comes via a monthly bill credit, and credit approval is required. U.S. Cellular is accepting preorders on Aug. 10, but the device won’t be available until Aug. 24 in-store and at uscellular.com. 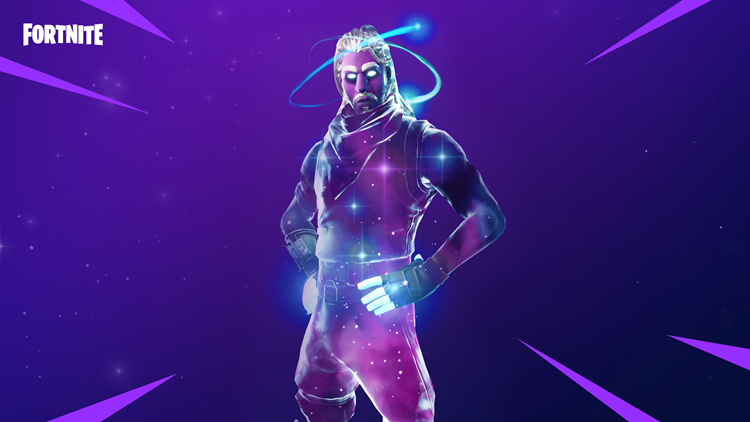 As with the other carriers, those who preorder the Galaxy Note9 between Aug. 10 and Aug. 24 will receive either AKG noise cancelling wireless headphones or a unique Fortnite Galaxy Skin and 15,000 V-Bucks. Or both for $99. Follow Marc on Twitter: @marc_saltzman. Email him at askmarcsaltzman@gmail.com.